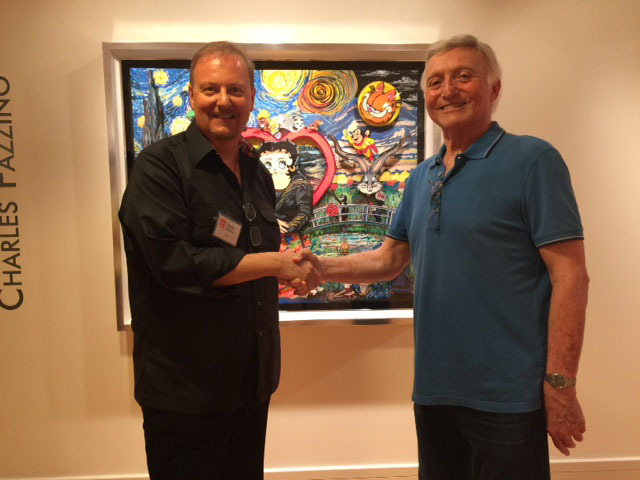 In March Jerry met up with Charles Fazzino, 3D Pop Artist at the Coral Springs Art Museum at the opening of a new exhibit “The Art of Pop & Comics”. Fazzino’s colorful and imaginative works of art are in hundreds of galleries and museums around the world. The amazing detail in his cityscapes, sports art, pop culture keep viewers fascinated for hours. 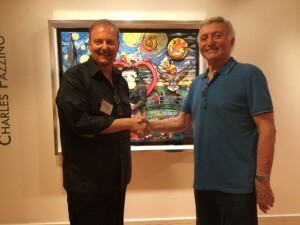 Works by Pop and Comic artists Jose Delbo, Marvin Gralnick, Nelson de la Nuez, and Al Razza were also included in the exhibit at the Coral Springs Art Museum.